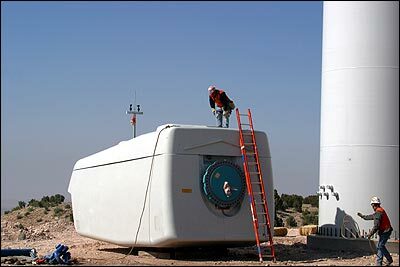 The New Mexico Wind Energy Center (NMWEC) officially went online Oct. 1, 2003. The center is the world's third-largest wind generation project. 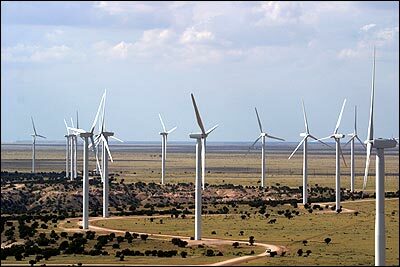 Located 170 miles southeast of Albuquerque and 20 miles northeast of Fort Sumner, the wind center is perfectly suited for eastern New Mexico's windy landscape. The center consists of 136 turbines, each standing 210 feet high. The facility can produce up to 200 megawatts of power, or enough electricity to power 94,000 average-sized New Mexico homes.